Hylunia was founded in 1988 by a group of dedicated Dermatologists, Plastic Surgeons, and Anti-Aging Physicians with over 200 years of combined experience. Hylunia was formulated not only to minimize fine lines, wrinkles, age spots and break outs but also to bring tone, texture, smoothness and clarity to your skin, inside and out. Hylunia has set itself apart from all other skin and anti-aging products by its revolutionary liquid crystal penetration technology and the 7P principles in the formulation. Hylunia has perfected the anti-aging formulation by synergic combination of twelve patented amino complexes, peptides, and plant extracts from all over the world. Each of these selected for not only their specific effectiveness in skin rejuvenation, but also to promote prevention by using only the safest, non-toxic, non-carcinogenic ingredients. Ninety-nine percent of the skin care products on today’s market contain ingredients that cause inflammation and irritation, even at the cellular level invisible to the naked eye. Continuous exposure to these ingredients, such as fragrance, dyes and preservatives, can cause inflammation that burdens the immune system, allowing it less time to repair and heal, which leads to premature aging. Hylunia is one of a kind formulation that is organic, natural and free of preservatives and toxic ingredients. Our focus is to create products that calm and rejuvenate the skin and to repair the damages done by the environment, stress and your life style. Only Hylunia creates the safest, most effective skin care products truly free of all potential irritants and toxins. In 1988, Hylunia was the first and only company to base an entire skin care product line around the proven healing and hydrating properties of Hyaluronic Acid (HA), the most powerful humectant known. Double blinded clinical studies have shown that radiated wounds heal quicker with Hyaluronic Acid. 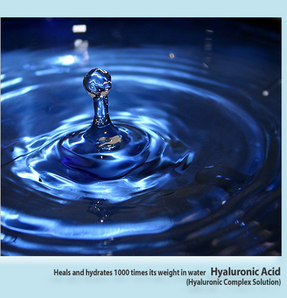 Holding 1000 times its weight in water, Hyaluronic Acid is a key Component of the dermis. 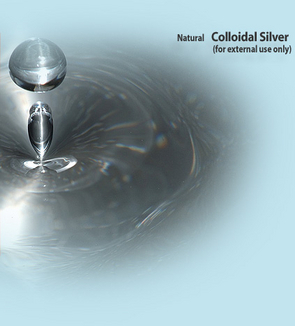 It effectively binds water to cells, and is responsible for the elasticity and resiliency of the skin. According to Dr. Brian Jegasothy, M.D., former Chairman of the Department of Dermatology at the University of Pittsburgh: “Hyaluronic Acid is possibly the most effective topical humectant currently available: more effective in its water retention properties than glycerin, sorbitol, collagen, etc. In addition, its ability to associate with lipids in skin surface membranes greatly enhances its ability to deliver its retained water and enriches its property by reducing transepidermal water loss. 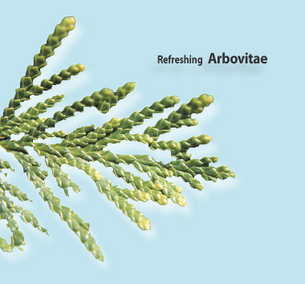 Thus the characteristics of Hyaluronic Acid are vital ingredients in a skin care line for its exceptional efficacy.” In addition to using the highest pharmaceutical concentration of Hyaluronic Acid available, Hylunia also utilizes the sea plant Padina Pavonica to assist the body’s natural hyaluronic acid production for a smooth skin. This bioflavonoid is 50 times stronger than Vitamin E and 20 times stronger than Vitamin C in its antioxidant properties. It is also known to strengthen the capillaries for those with telangiectasia, or (couperose skin). Taken internally for over 20 years in Europe, this ingredient minimizes the cytotoxicity induced by free radicals and UV radiation, and also reduces lipid peroxidation. Grape seed extract helps fight against redness of the skin due to rosacea and atopic contact dermatitis. This perennial herb is indigenous to the mountains of Central Europe. 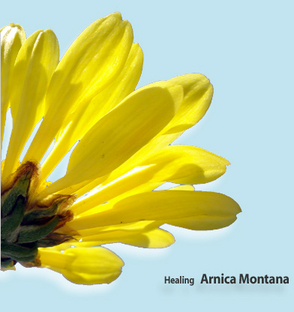 Arnica Montana has a long history as a remedy herb, notably for the healing of wounds. It is respected in the medical community for its powerful antiseptic and antibacterial properties and is recognized for its distinct ability to minimize bruising and prevent infection. Calendula is an annual or short-lived herbaceous perennial growing from 1 to 3 feet tall. 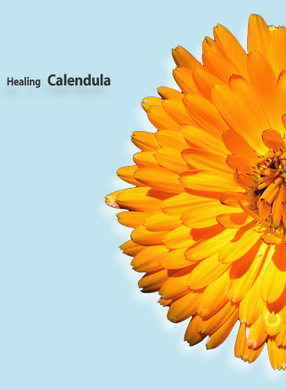 Calendula is known for its powerful use as a wound-healing and skin-soothing botanical. It is a substance that promotes healing while having anti-inflammatory and weak antimicrobial activity. Calendula is usually used externally for its antiseptic and healing properties in treating skin infections, cuts, punctures, scrapes, burns and chapped or chafed skin or lips. Less commonly, it is used internally to heal inflamed and infected mucous membranes. Ayurvedic, Chinese, Tibetan and other Eastern medical practitioners have found by experimenting for thousands of years that certain herbs, when blended in a specific ratio, work better than herbs used individually. 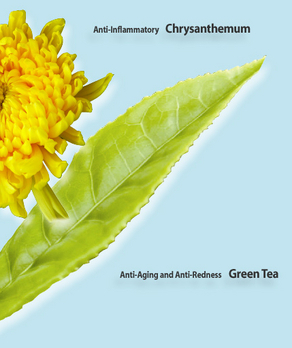 US Advanced Medical Research applies this ancient Eastern wisdom by combining a rare synergistic blend of Green Tea (Camelia sinensis) and Chrysanthemum (Chrysanthemum indicum) that neutralizes free radicals, disrupts the inflammatory process, and stimulates microcirculation which aids in oxygen exchange. Green Tea contains polyphenols and catechins which minimize cellular disintegration caused by uronikase inhibition and cellular proliferation that affect the epidermal growth factor receptors (EGFR). The polyphenols in green tea are powerful neutralizers of dangerous free radicals, specifically targeting hydroxyl, oxyferryl and peroxide. Chrysanthemum was used for centuries to treat inflammation and headaches. Chrysanthemum indicum is an aqueous extract rich in specific flavonoids and two saponosides, and it also assists in product penetration. The high concentration of green tea and chrysanthemum provides skin with the most powerful anti-oxidants to protect against DNA alteration from sun exposure, free radicals, and cellular lipid peroxidation. 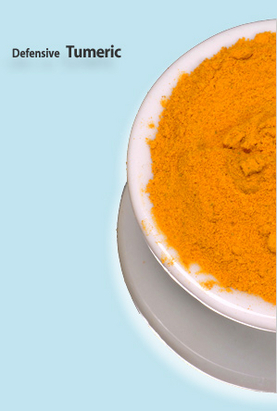 Turmeric has been used in India and Asia for thousands of years. It is well known for its anti-aging, anti-inflammatory, anti-oxidant and antibacterial properties and is presently being studied in cancer research. This bio-protectant neutralizes free radicals and ultra violet radiation (UV) damage. Gentle treatment of the turmeric removes the typical yellow color, so that a high percentage of turmeric can be incorporated into our products without staining the skin. Studies show that properties of this version are the same as the cucumoroid of the turmeric. For thousands of years, the Aborigines used this aromatic, perennial herb cultivated in the wetlands of Australia for its remarkable Anti- inflammatory, antibacterial and healing properties. 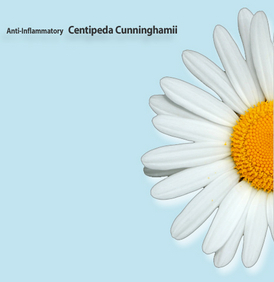 The Anti-Inflammatory properties of this herb is 4000 times more than that of asprin. This extraordinary botanical extract from the Daisy family demonstrates outstanding results for its distinct ability to minimize inflammation by 4,000 times compared to methyl salicylate (Asprin) and promotes cell regeneration, and minimizes the appearance of fine lines and wrinkles. This natural oil extracted from the Japanese Arbovitae acts as a potent antiseptic that provides powerful healing and soothing properties in addition to stimulating cell renewal. 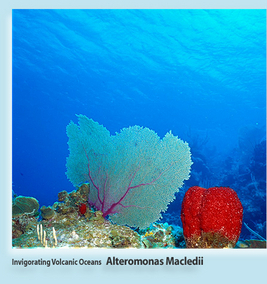 This rare ocean organism is retrieved from the depth of 1.5 miles below the volcanic oceans and fermented to produce an exopolysaccharide extract, which resembles a sugar molecule. This fermented extract minimizes the iodine (shellfish allergy) content in the product. Hylunia incorporates the highest concentration of this fermented extract to reduce inflammation caused by acne, rosacea, psoriasis and other skin conditions that result in irritation and inflammation. Cucurbitine, a plant peptide extracted from pumpkin seed, minimizes the inflammatory process that contributes to the aging of the skin. When the skin is exposed to irritating skin care ingredients, or to the sun’s UV rays, the mast cells defensively convert histidine to histamine. The plant peptide cucurbitine minimizes this conversion. 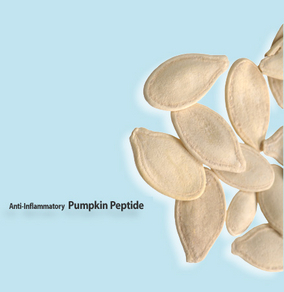 Pumpkin seed extract also prevents the conversion of phospholipids, archidonic acid, prostoglandins and leucotriens in the cell membrane which cause inflammation. Noni is a powerful fruit that is commonly grown in Hawaii. Noni is not only a powerful anti-oxidant to fight against aging but is also an anti-inflammatory to calm irritated and damaged skin. 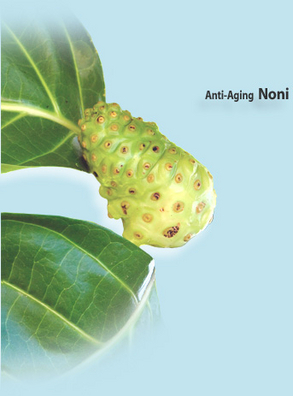 In addition, Noni delivers moisturizing properties as well as helping to seal moisture in the skin. While repairing fine lines and wrinkles, Noni works at a cellular level to increase healthy cells and longer collagen fibers. This will create healthy, hydrated, youthful skin. Pomegranate is a fruit that contains properties for excellent skin, such as moisturizing, and having anti-oxidant and anti-inflammatory properties. While it delivers a powerful anti-aging effect, it helps the skin to retain moisture and maintain proper circulation and hydration. 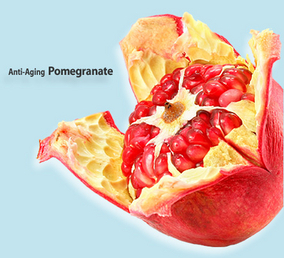 Pomegranate is rich in ellagic acid, which is great in managing free radicals, to slow formation of wrinkles and fine lines related to aging. It also has been found effective in aiding cell regeneration, adding tissue repair and promoting the production of collagen and elastin, giving strength and support to the skin. Mangosteen is a tropical evergreen tree; believe to have originated in the Sunda Islands and the Moluccas of Indonesia. 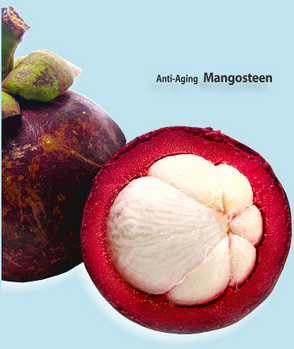 Mangosteen has over 40 powerful anti-oxidants known as a Xanthone. 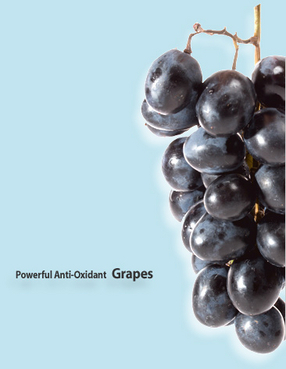 These strong anti-oxidants will fight against free radicals that can aggravate acne and cause aging to the skin. Mangosteen has also been found to have anti-bacterial properties to help fight against acne as well its anti-inflammatory action soothes irritated and dry skin. This peptide complex minimizes eye puffiness and fluid retention under the eye. The Lipopeptide (Palmitoyl Tetrapeptide-7) decreases inflammation and improves firming and elasticity. Dipeptide-2 improves lymphatic circulation and Hesperidin Methylchalcone decreases blood capillary permeability. This ingredient is in the Eye Treatment and going to be in the new product Princess Formula for the Dark Circles. Hydroxyproline is not only important in collagen synthesis, but it also inhibits the enzymes responsible for the degradation of collagen and elastin. Our skin naturally contains proteolytic enzymes Metalloproteinase (MMP2) and Tissue Inhibitors Metalloproteinase (TIMP). Metalloproteinase (MMP2) is responsible for the break down of collagen and elastin. Tissue Inhibitors Metalloproteinase (TIMP) is responsible for stopping MMP2 from degrading collagen and elastin. As we age, MMP2 begins to increase and the production of TIMP decreases. This leads to an imbalance and the reduction of collagen and elastin. Hydroxyproline stimulates TIMP to help reduce the degradation of collagen and elastin thereby reducing wrinkles. This ingredient is present in Hylunia’s Beyond Complex C.
This peptide complex inhibits elastase and collagenase breakdown of connective tissue in the eye area and improves hemodynamic properties (blood supply). In Vitro tests have shown it significantly reduces the rate of blood clotting thereby minimizing dark circles. Also, this Oxidoreductase in the peptide complex neutralizes free radicals and minimizes inflammatory processes resulting in reduced puffiness in the eye area. This peptide complex is present in Hylunia’s Eye Treatment.